Diving with the Eyes of an Ear, Nose and Throat Specialist III. infection of the hearing canal. The harmful effects damaging the hearing canal can be divided into two groups: every-day effects and diving-related effects. Besides the harmful effects at our own hands from the every-day cleaning of the ear, the hearing canal is further sensitive to drafts as well as to soaps, shampoos and shower gels which can significantly change the PH-levels of the skin or cause allergic reactions. spend up to 6-7 hours a day in water. In addition, the sea water can collect in the &#8220;S&#8221;-shaped curve, increasing the time water stays in the ear. This much time spent with water in the ears is not preferable. Just think about sitting in the bath tub for a long time when our hands wrinkle like a prune. Plus the sea water is not sterile. The organic materials in it provide sufficient breeding ground for bacteria which can more easily enter the skin of the hearing canal soaked in water, causing infections. often completely closing the canal. From the narrowed canal there is often a discharge caused by the infection. When the ear aches and the diagnosis is probable infection in the hearing canal, we can do the following: If on a diving safari, leave out at least one day of diving, try to gently rinse out the canal with fresh water and use anti-inflammatory ear drops 3 times a day. Once on land, consult a physician who will carefully clean out the hearing canal, prescribe ear drops or if the canal is too narrow, place an antibitoic strip into the canal. – Keep the hands away from the ears. Do not use cleaning sticks, hair pinsor any other objects to clean them. – Have your ears checked by a doctor 2 weeks before a diving trip. – Use PH-neutral or hypoallergenic hygiene products. – Protect the ears even from the wind. – After a day of diving, always rinse the ears with fresh water and letthe water leave the ear completely. Our bodies are constantly exposed to damaging effects but the safety mechanisms of our immune system prevent the development of diseases. The weakening of our defense system or if exposed to especially serious harming effects can lead to the formation of diseases, in our case, to the infection of the hearing canal. The harmful effects damaging the hearing canal can be divided into two groups: every-day effects and scuba diving-related effects. 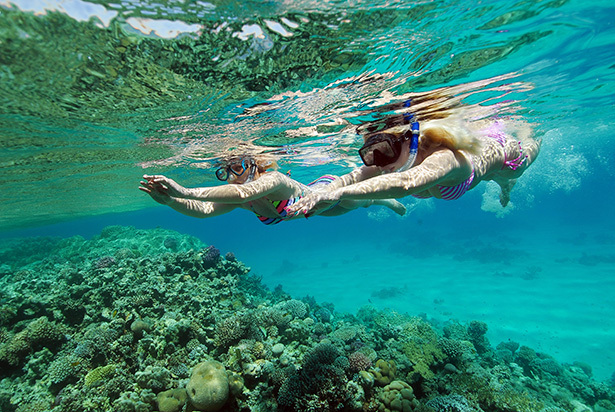 On a scuba diving safari divers can dive up to four times one day and adding to this some snorkelling and fooling around in the water, scuba divers can easily spend up to 6-7 hours a day in water. In addition, the sea water can collect in the shaped curve, increasing the time water stays in the ear. This much time spent with water in the ears is not preferable. Just think about sitting in the bath tub for a long time when our hands wrinkle like a prune. 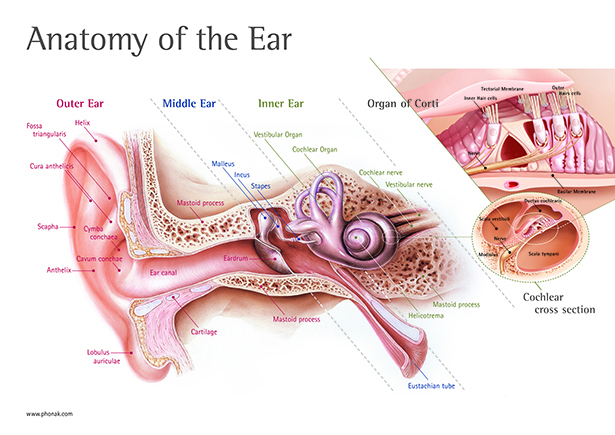 The first symptom of infection in the hearing canal is the ear ache. As the process continues, the skin of the hearing canal swells, narrowing or often completely closing the canal. From the narrowed canal there is often a discharge caused by the infection. When the ear aches and the diagnosis is probable infection in the hearing canal, we can do the following: If on a scuba diving safari, leave out at least one day of diving, try to gently rinse out the canal with fresh water and use anti-inflammatory ear drops 3 times a day. Once on land, consult a physician who will carefully clean out the hearing canal, prescribe ear drops or if the canal is too narrow, place an antibitoic strip into the canal. – After a day of scuba diving, always rinse the ears with fresh water and let the water leave the ear completely. Posted in Blog, Scuba divers safetyTagged ache, diving, ear, eyes, nose, problems, scuba, specialist, throatLeave a Comment on Diving with the Eyes of an Ear, Nose and Throat Specialist III.